Maroon 5 have announced two summer shows for August of 2015 that will take place in Pennsylvania and New Jersey. Opening for the band on both dates will be Nick Jonas and Matt McAndrew. These are Maroon 5's only tour dates currently planned in North America, before they hit Asia and Oceania. WHEN DO MAROON 5 TICKETS GO ON SALE AND WHAT'S THE PRE-SALE CODE? American Express cardmember, Legacy Fan Club, and Junior Fan Club pre-sales begin June 23rd. Live Nation, LN Mobile App, radio, and local venue pre-sales begin June 25th, and the general public on-sale begins June 26th. The first tickets go on sale exclusively to Maroon 5's S.I.N. fan club on June 23. The Live Nation pre-sale offer code is SONGS and the LN Mobile App pre-sale password is COVERT. For great tickets that won't hurt like a mother------, check out Zumic’s preferred ticket broker: SuperStar Tickets. No fees, 125% money-back guarantee, and use discount code SHOPCONCERTS for 5% off your purchase. 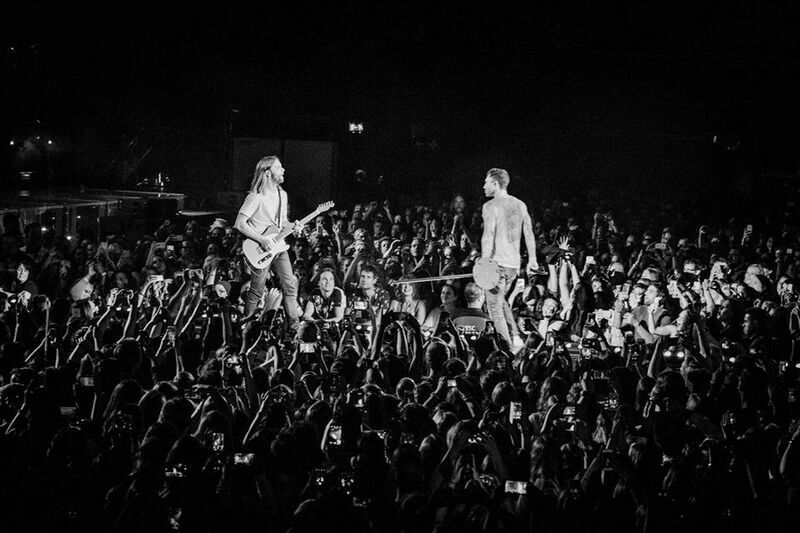 For the latest music, news, and tour dates from Maroon 5, check out their Zumic artist page.